Present in various ripe fruits and vegetables, this natural, water-soluble substance is used for its thickening properties in the preparation of jams, jellies and preserves. 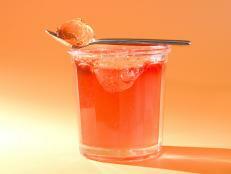 The gelatinlike pectin is added to fruits that don't have enough natural pectin to jell by themselves. If pectin isn't used, the alternative is to continue cooking the mixture until it's reduced to the desired consistency. Pectin only works properly when mixed with the correct balance of sugar and acid. It's available in two formsliquid (usually made from apples) and dry (from citrus fruits or apples). You’ve seen it on hundreds of labels and may have even used it in your own kitchen—learn all the need-to-know facts about this additive.